Welcome back to my biweekly interview series. Today I’m interviewing Lee Ann from the blog: Animals Are Feeling Beings Too. As LeeAnn’s blog focus is more on helping animals through her blog, the focus of this interview will be slightly different than past interviews. 1. LeeAnne, Please Tell Us About Yourself and Your Blog? I have always been a quiet, deep-thinking, and observational person.Through deep-thinking and my tendency to observe, I noticed a lot of aspects about animals. Watching them, and paying attention to them, I fell in love with them. As I am a quiet person, I feel I tend to get lost in the crowd much of the time. I noticed a similar thing often occurred with animals; they were getting lost in the crowd too when people didn’t pay attention and take care of them. Intrinsically, I felt their worth, their needs, and I noticed the way some of them were not treated nicely. My passion for helping animals was born. 2. When Did You Begin Blogging ? What Does Writing and Blogging Mean to You? I had taken classes for Web Design in 2013 and one of the assignments was to create a blog. My blog was my current blog: Animals Are Feeling Beings Too and I wrote on it occasionally over the next few years. However, in August 2016 I started blogging regularly. I have had different experiences with writing throughout my life. Back in elementary school I first fell in love with poetry and writing (and my poetry teacher J). Since then, I have written several poems over the years, but only for my family and friends for special occasions such as weddings, graduations, and other special events. Currently, some of my responsibilities at work include writing newsletters and social media posts. Blogging means everything to me because of what I write about. I adore animals and feel passionate about helping them. I have been trying to figure out my entire life how to utilize my love for animals. When the assignment came up in my course to create a blog, my teacher told me she thought I should continue with my ‘helping animal’ themed blog. I guess you could say a light bulb went off in my head. It took me a few years to apply myself, consistently blogging. But I think I had troubles because I was burnt out from being on a computer all day between work and school. I write because I want to help animals by spreading the word about animals who are abused, the worth of animals, and our responsibility to care for them. 3. Where Do You Find Your Motivation and Inspiration to Write? Is There A Time Of Day You Prefer To Write? 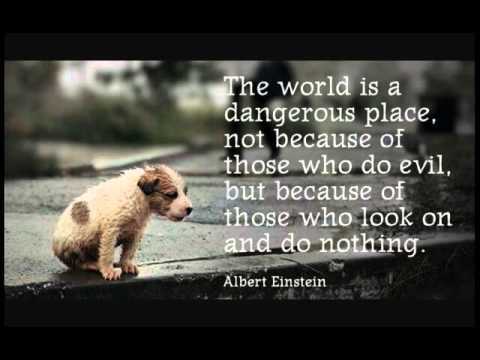 Unfortunately, there are way too many people out there harming animals and not enough laws to protect the animals. This is where my inspiration and motivation comes from. I want to make a difference and ensure fewer animals are harmed. I also feel a lot of people are unaware of how much animal abuse exists and how few laws there are to protect animals (pets).I am hoping to bring light to these issues on my blog. I am more alert and ‘fresh’ in the late morning after I have some coffee; however, because I have a full-time job, a lot of my writing and blog posts are done in the evening after work. 4. Do You Have Any Current Pet-Related Writing Projects or Hopeful Ones? Are You Planning on Publishing Anything Related to Animals? My blog is my current and ongoing project. I am only six months into regular blogging, so I am still new at blogging. I am working hard at ‘getting my writing out there’ on animal issues. My hope is to grow my traffic, not for my sake, but for the sake of animals and to make a difference. So far, I’ve not published anything other than blog posts. I have considered writing a children’s book on empathy towards animals someday. I believe since children are our future, teaching them to be considerate towards animals could make a huge difference on the way animals in the in years to come will be treated by their owners (etc.) I may also turn some of my blog posts into a book someday. 5. What Is Your Writing Process Like When Focusing on Animals? As I mentioned, there is so much animal abuse going on, so there is not a lack of topics to write about. If I see a story on the web about an animal that was abused, I start thinking and the writing process for a post begins. For example, after going to the Renaissance Festival I noticed an elephant chained to a contraption which only allowed him to move around in a circle giving people rides. I started thinking and when I was home, I wrote about this event and how awful it was for the poor elephant to be so confined and probably abused. 6. Do You Have Any Advice For Other Bloggers or on Advice on How People Can Help Animals in Need? “Supporting animal organizations is . . . one way I help animals . . . I write about a wide variety of topics and types of animals, and I usually share links so you can check out the organization/topic being discussed. 7. Do You Have Anything Else You’d Like To Share With Readers on Helping Animals, Yourself, or Blogging? I am attempting to give my blog real purpose (a means to an end) that my writing and blogging actually result in animals at risk or already being harmed, not being hurt anymore. I also want people to know I do have a large variety of posts on my blog. 8. Do You Have Any Favorite Bloggers You Follow? I enjoy different kinds of blogs, but I think my favorite blogs are when someone writes about their pet(s). I think it’s fun to see all those adorable pet photos and learn about various animals and their personalities. Oddly enough, I do not necessarily like to follow blogs that are about ‘animal activism.’ I applaud them but I find these blogs usually too graphic for me to handle. The post below was written when a young follower of mine contacted me to let me know she was inspired by my blog. She wrote a poem called “Animals Are Feeling beings Too” which she published on her blog. I will continue to add to these pages and keep a variety on my blog. But one thing that will not change is where my heart is, and that is helping the fight against animal cruelty. This means some of my posts will not be so uplifting or fun. If I were to only do “happy” posts I wouldn’t be spreading the word about animal cruelty and therefore I wouldn’t be helping animals. Something I saw on Facebook (or somewhere) not so long ago was this sentence, “The reason I dedicate myself to helping animals so much is because there are already so many people who dedicate their lives to hurting them.” Sadly, a true statement! There are a lot of people who tell me they can’t stand to read or see anything about animal abuse because it bothers them too much. It bothers me A LOT too, but I can not turn my back on them. I want to encourage others not to either. I recently have received a few great compliments from fellow bloggers about my blog. This makes me feel so warm & fuzzy. I also received a message from a young follower, named Leona, that said me and my blog inspire her, and that she wrote a poem and named it “Animals Are Feeling Beings Too.” I was overjoyed by this! 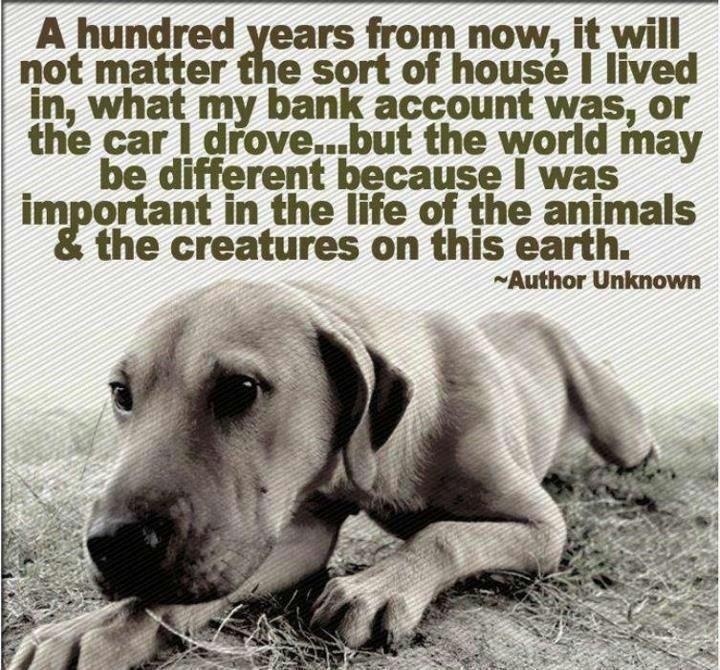 It makes me think maybe I AM making an impact out there for the good of animals! Please read the magnificent poem here written by 12-year-old Leona. Great job Leona! Keep writing and spreading the word about animals! Thank you for the awesome poem and sharing it with me! The following three posts are on serious topics that were my most ‘Liked’ and ‘Shared. They have extremely important messages within them. The post below is one of my most ‘Liked’ posts from my ‘Tuesday Tales’ page where I share pet stories from the web and from other bloggers and Facebook followers. Lastly, this post below is an adorable pet photo compilation from other bloggers and Facebook followers from over the holidays. Thanks to LeeAnn for the lovely interview and sharing her passion for taking care of and helping animals at home and ones who are in need. Best of luck to her in her blog and spreading the word about animal empathy and the proper way to treat your pets and animals in general. Here is a Link To LeeAnn’s blog one last time: Animals Are Feeling Beings Too. If you would like to share your blogging or writing in my biweekly interview series, please reach out to me through my contact page on my blog. I will see you in two weeks! Have you cast all your doubts? There is no life without them. I just tried my best. As my mother always said. My best is not enough. No strength in my bones. More than dry-bones can provide. Yaya down and she can’t raise herself up. Their knowing looks, eyes that know nothing. And no one helps an old woman up. Her life was tough and unsparing. A facial mask of sludge and worms. Each day I try to tell you but it’s not enough. The wind blows loudly there. Until I’ve drawn my last breath? Must be made alone and for naught. Must I stay on the roads of antiquity? Can I grow with the changing world? I must stop the mudslide from coming. Lord, why don’t they hear? The roar of doom and pain approaching. When I’m safe in the heavens. Does being old make me invisible? And my eyes the lights to yesterday. Learn from the past, I pray. How do I become a Mockingjay? Not sleeping through each day. How do I bring hope, become a symbol? To mimic a wisdom long past. But you would hear, a Mockingjay. Hey everyone. I’m thrilled to share with you an interview on a wonderful writer, teacher, and blogger this first week of July. His name is Christopher Leo Couch of Clcouch123. Please check-out his blog, he’s a fascinating, kind, and learned writer. My name is Christopher Leo Couch. Christopher because my mother liked the Winnie-the-Pooh stories and Leo because it’s my father’s first name and his father’s and so on back. My last name is Couch because centuries ago, members of my clan made cushions for medieval furniture, furniture otherwise made of only hard stone and brick. I was born in Louisville, Kentucky; much of my family is from and in the Southern USA. My immediate family moved to Pittsburgh when I was young, then to Cincinnati. I moved back to Pennsylvania to work. I live in Mechanicsburg, a small town (borough) near Harrisburg (the state capital). I grew up with four siblings, three brothers and my sister. I am the middle child. As such, I had to be an older child or a younger child, depending on the nature of the situation. The nature of the situation was rarely made clear to me. I never knew which child I was supposed to be and when. As a child, I had a busy imagination. I enjoyed stories and writing them. I made little worlds out of my train set and other toys such as models of spaceships or Lincoln Logs. 2. What Type of Profession Did You End Up Going Into? I went into teaching, which became the substance of my work. I taught college while in college. Later, I taught my way through Graduate School and teaching paid the bills. I discovered I had great concerns for the accomplishments and growth of my students. In my initial studies and since, I developed a learner-centered approach to teaching that has evolved by experience and further training. As an educator, I’ve worked in schools and churches. I’ve worked with all ages of students. I find it appealing to teach a range of all ages. I enjoy working with babies, children, youth, and adults. I have degrees in Communications, and English, and I’ve studied religion. I’ve also, taught both public speaking and writing. I am Christian though probably a lousy evangelist. I enjoy meeting those from other religious traditions and learning about their faith. I spend time with agnostics and atheists as well. I can articulate my faith well and I’m a devotee of the apologist C. S. Lewis; however, I believe if we’re all going to last in this world, we’re going to have to respect each other first. Rather than attempting to talk someone into my way of thinking and believing, I prefer to listen and respond. Then, I’m able to learn and relate to where others are in their spiritual beliefs. 3. When Did You Begin Writing and Blogging? About a year ago, I had heart surgery. My recovery was slow and I couldn’t do much of anything. One activity I could do was write, so journaling became a daily practice. My spiritual director (once) had recommended I keep a blog. Why he suggested this, I’m not sure. I had already found WordPress, but I began to write on my blog more often after his suggestion. I enrolled in Blogging University (the WordPress offered courses). I also participated in a WordPress poetry writing class. I built a basic blog, giving myself enough options so that I could write blog posts, read the blog posts of others, and respond to other WordPress blogger’s comments. I haven’t done much in a sophisticated fashion with my blog concerning graphics and other technical aspects, but I’ve been posting and corresponding daily for several months now and am learning as I go. 4. What Does Writing Poetry Mean to You? Why Do You Write? Poetry is an impulse for me. I write poetry because I have to. It’s the reason I write, I think. Poetry is the way I meet the world. Maybe someone else somewhere, said this more profoundly, but for me this is how I can explain it. I write poetry to explore, as I imagine many do with this form. Poetry can be an exercise—a way to play with words—which is fine. I play that way. Usually, there’s more at work behind the poetry, even in the playful parts. I write to speak, to say something to the world, and to engage the world. “Poetry is an impulse for me. I write poetry because I have to. It’s the reason I write . . .I write poetry to to explore, as I imagine many do with this form. Poetry can be an exercise -a way to play with words . . . I write to speak, to say something to the world, and to engage the world.” – Christopher Leo Couch. 5. Where Do You Find Your Inspiration to Write? Do You Find There Is a Time of Day You Most Like to Write? Many things inspire me to write such as current events, a moment of beauty, and the concerns of myself and other people. I’m inspired to write when words come to mind or heart which I cannot let go of. Currently, I most like to write in the early evening and revise in the afternoon the next day. I often enjoy writing first thing in the morning, when my mind is new and I encounter the world in an open way (or as open as the day and I are going to get). 6. What Are Your Most Current Writing Poetry Projects? Any Hopeful Projects You Are Working On? I’m working on composing a series of psalms. I’m not the first person to express psalms in a new way. I’m not sure how I began working on this project. A psalm, simply put, is a song to God. Perhaps, I was writing out a prayer and thought there might be something lyrical about it. At any rate, I continue working on writing a series if psalms. It’s also been a dream of mine to study and train for an MFA in Creative Writing. I’ve applied to various programs, though have not worked out a method to afford taking courses in a Creative Writing Program, which is why it’s a dream. But I do have an active, waking dream to lead a creative writing class. While recovering from my surgery (I must have had more time than I recall), I drafted a verse novel for a young-adult audience. I have great fondness for the genre and have been delighted to teach it, study it, and simply read it. I’ve written works, often in dramatic voice, for groups and special events; I’d be glad to continue writing works such as this. I’d love to publish my work, of course. I have mentioned in my blog a dream of mine, to have a collection of my poems published in hardback form. I want my poetry to be a book as the kind of works I look for in bookstores and come upon as treasures abstracted from the mortal—or divine—aspects of earth. 7. Have You Published Written Works or Are You Planning to Publish Works of Writing in the Future? I published numerous works while in graduate school and in my scholarly life. Most of my work, even poetry, has been published in journals. My favorite of these works is an article about ancient riddles and their use in The Hobbit. For the last church in which I worked, I wrote a devotional series and for a Lenten observance. I wrote The Way of the Cross—a kind of liturgical writing which has been composed over centuries. If you go to the The Trinity Camp Hill Website, you’ll find my Way of the Cross and the entire experience rendered on line. 8. Can You Briefly Describe the Process You Went Through to Publish or Are Going Through to Have Your Writing Published? I imagine if I seriously wanted to publish widely, I would need to have a literary agent, if not an advanced (terminal) degree. What I often do, is send my writing to a group which might be interested in printing it. Sometimes I’ve been commissioned to write certain pieces. Sometimes sending your writing to interested parties works and sometimes it doesn’t. On a side note, I’ve heard there maybe a new planet discovered in our solar system. If so, it’s going to need a name. I posted a poem about my choice of Minerva (Roman god of wisdom), which many of you (thank you) like as well. I also sent my suggestion to NASA. Maybe, they will like my name choice as well? I’ve described something of my writing process above; I write. It’s not usually so hard, because I know I’ll write stuff that I won’t keep. But I’m still writing. The computer is especially (truly, really) helpful with my writing. I can draft, move things around, and create new saved versions and files. It’s so easy now with the a computer. Sometimes, I wonder how I made it through my Master’s Degree using a typewriter. (A mechanical word-calculating device networked to nothing but the typist). I usually write in response to something—even if it’s only in wondering why or how. Sometimes, I write something and then put it away. (Again, wonderful computer) I have many pieces of writing saved and stored on my computer (without proper back-up, I’m sure). At times, writing is difficult, because I am writing about something difficult. The recent death of my close friend is hard to write about. Sometimes writing is more straightforward and other times, writing is like playing. The act of writing is a chore (physically speaking) but I’m fine with it’s physical demands. 10. Do You Prefer Certain Areas of Writing or Reading Styles or Genres? I read poetry, young-adult literature, and regular mysteries. Sometimes I read varied genres for fun and sometimes for work. For work, I read about pedagogy and religion. My favorite mystery works are by Aaron Elkins who sometimes writes with his wife Charlotte Elkins. Charlotte also writes on her own. My sister and I share mystery titles and our reviews of the books we both read. But, young-adult literature crosses pleasure and work, as does poetry. 11. Do You Have Any Helpful Advice for Other Writers? Write! Don’t wait. Write. Share. Get reader response and write more! When sharing your writing before revising (and after, since writing is an organic process and not artificially linear), choose those whose opinions about your writing, you generally respect. These opinions do not have to be from folks who are writers. If you would like to know how to increase your vocabulary when writing — read. You can read anything. I suggest reading writing you like. Rosema from the blog: A Reading Writer writes about wonderful books to read along with meaningful poetry. Please check-out her blog in the link above. 12. Is There Anything Else You Would Like to Share With Which Is Pertinent to Writing or Yourself? I’d like to thank you, Amanda, for arranging this interview. I’d also like to thank everyone who reads my work. I’d like to thank those with whom I interact with online, because your work invites response.Thank you! Don’t let writing be a mystery which stultifies. Writing is a mystery—but the good kind. When it’s fair and correct, give credit where credit’s due. Identify sources and inspirations. Can You Share With Us a Few Links From Your Blog With Some of Your Favorite or Most Loved Pieces? I have not been asleep. More of Christopher’s poetry can be found on his blog here. Thank you so much Christopher for doing this interview for me. I enjoyed learning about you, your past, and your future aspirations. I wish the best for you in life, completing your MFA in Creative Writing, your psalms, and a hardcover book of poetry. Thanks for reading this bi-weekly interview series. I have another fantastic interview lined up in the next couple of weeks. If you wished to be interviewed on writing and/or blogging, please reach me on my contact page on the top of my blog. The prompt for Writing 101 today is to write about an event that takes place in a single day. Also, I will be including The Daily Post word prompts Phase, Dream, and Grain. I’m trying something with poetry and I hope the result isn’t tedious. The womb; swaddled in blankets. Could end in a moments glance. Sucking on bottles, weened off. Pre-school; no hitting allowed there. Where she better know her typing. Not weird to her; she’s been there before. Own journeys; and she’s divorced. Grandma raising baby of her daughter. A beautiful blond, into fine art. Mom doesn’t like her; girl’s a phase. Son has three kids and stays married. Never had kids, he loves his grandbabies. Sweet daughter; dead, needle marks proof. Over the world but only for work. World divine; slowing down in life. But they’ve all this technology. But she out-lives the dog as well. Great-grandkids crying for their Oma. Day before God; finally, wandering home. Thanks to A Reading Writer, Rosema my talented friend, for information on how to write a Diamanté. And my apologies, these are supposed to have a diamond shape, but I have no patience for that! Also, the picture isn’t Colleen, I just thought this woman was beautiful, and so was Colleen. Beautiful, Unique, Self- Hating, Forlorn. Loving, Glowing, Comprehending in Heaven. Memories, His Little Girl, Painfully, Mourned. Thinking Back, Memorizing Moments, Praying. Stylish, Classy, Covering Sadness, An Image. Magnetic, generous, Beyond Life, Loved. ©Mandibelle. (2016) All Rights Reserved. Not understanding, not knowing, not caring. Lost in her head, Stressed, finding peace, forgiveness. Memories, his little girl, painful, mourned.